The PLYLO chair is a modern stacking lounge chair with a slimline design and elegant look. Made from one-piece pressed multiply wood and foam, the PLYLO sits proudly on a steel rod frame. Upholstered in fabric, leather or vinyl or in a selection of house fabrics. 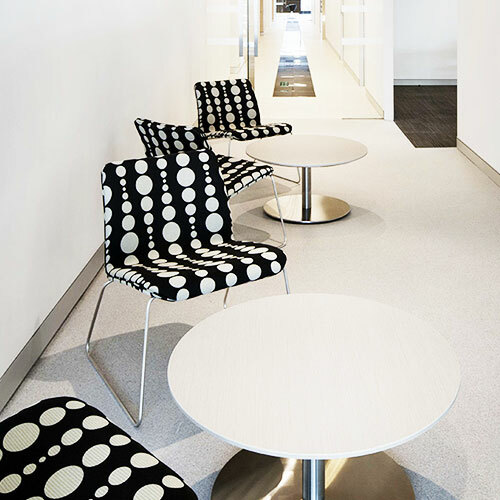 PLYLO works equally well in breakout or reception areas. The PLYLO (Ply-low) has a higher and slimmer version called PLYHI (Ply-high).